If you are looking for double glazing companies in Edinburgh, look no further than Celsius Windows. We are one of the leading firms in the region and we would be delighted to speak to you today to tell you more about the many benefits of uPVC windows and doors. We have been fitting double glazing across the region for many years and our glazing team will ensure your installation is carried out to the very highest standard. uPVC windows and doors will keep the warmth in and the cold out – something that is very important during the coldest of Scottish winters. They look good too, and will also help to keep the noise of the city out. 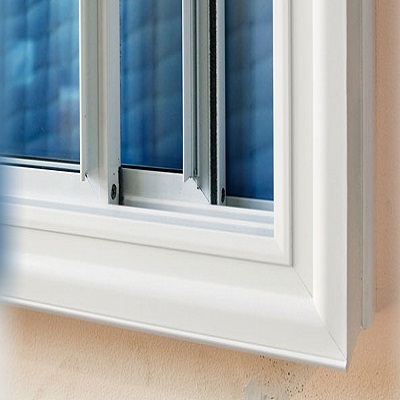 Why not speak to us today to find out more about upgrading your single glazed windows to double glazing could be the best thing you do for your home in terms of comfort and value. When you want the very best in double glazing, make sure you come to Celsius Windows. We offer outstanding workmanship, the best prices in the region and excellent customer service. Our glazing team has been fitting windows and doors across the region for many years and we would be delighted to speak to you if you are considering uPVC for your home. Whether you are looking to replace all of your windows and doors or just a few windows, we can give you a cost effective quote. Why not speak to our friendly team today to find out more about our double glazing and the stylish options we have available? We are standing by ready to take your call. We take great pride in our services and our prices and our customers always recommend us to others. In fact, much of our business is received through word of mouth recommendations or repeat business. Speak to our team today to find out more. We are waiting to take your call. Nobody else offers such unbeatable service or value for money. When you are looking for double glazing companies in Edinburgh, make sure you call the team here at Celsius Windows. We would be delighted to give you a cost effective quote.